December 4th, 1952; deadly smog created by the smoke soot and sulphur dioxide from the factories, cars and coal fires in local homes begins to hover over London, England, which continues for four days, leading to the deaths of at least 12,000 people. The Great Smog (or Big Smoke) of 1952 was the severe smog that affected London during the period of Friday 5th to Tuesday 9th December 1952, today seen as the worst air pollution event in the history of the United Kingdom. Earlier reports suggested that 4000 died prematurely and 100,000 were made ill by the Great Smog, but more recent research has shown that the number of smog-related deaths was underestimated and is now thought to be considerably higher – around 12,000. 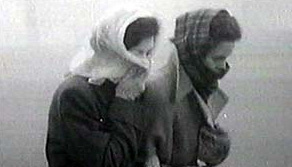 The London Smog of 1952 is acknowledged as one of the most significant pollution episodes in history in terms of its impact on environmental research, government regulation, and public awareness of the relationship between air quality and health. The weather preceding and during the smog meant that Londoners had to burn more coal than usual to keep warm. Post-war domestic coal tended to be of a relatively low-grade, sulphurous variety, which increased the amount of sulphur dioxide in the smoke (economic necessity meant that higher quality 'hard' coals tended to be exported). There were also numerous coal fired power stations within the Greater London area including Battersea, Bankside, and Kingston upon Thames, all of which added to the pollution levels. (Research suggests that additional pollution prevention systems fitted at Battersea may actually have worsened the air quality, reducing the output of soot at the cost of increased sulphur dioxide, though this is not clear). In addition there was pollution and smoke from vehicle exhausts – particularly from diesel-fuelled buses which had replaced the recently scrapped electric tram system – and from other industrial and commercial sources. Prevailing winds had also blown heavily-polluted air across the English Channel from industrial areas of Europe. On Thursday 4th December 1952, an anticyclone settled over a windless London, causing a temperature inversion with very cold, stagnant air trapped under a layer (or "lid") of warm air. The resultant fog, mixed with chimney smoke, particulates (e.g. from vehicle exhausts) and other pollutants (particularly sulphur dioxide, resulted to form a persistent smog, which blanketed the capital (the presence of tarry particles of soot gave the smog its yellow-black colour – hence the nickname "peasouper"). The absence of significant wind prevented its dispersal and allowed an unprecedented build up of pollutants. Although London was accustomed to thick fogs, this one was denser and longer lasting than any previously seen. Visibility was reduced to a few yards ("It's like you were blind", commented one observer, making driving difficult or impossible. Public transport ground to a halt – apart from the London Underground – and the ambulance service stopped running, forcing the sick to make their own way to hospital. The smog even seeped indoors, resulting in the cancellation or abandonment of concerts and film screenings, (as visibility fell in large enclosed spaces, and stage and screens became harder to see from the seats). Outdoor sports events were also affected. 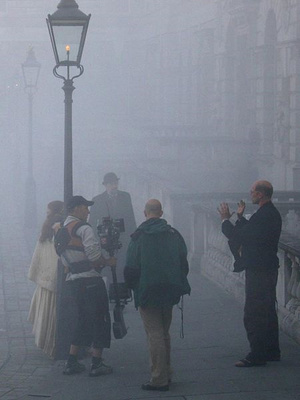 Initially, there was no great panic, as London was renowned for its fog. In the weeks that followed, however, statistics compiled by medical services found that the fog had killed 4,000 people. Most of the victims were very young, elderly, or had pre-existing respiratory problems. Deaths in most cases were due to respiratory tract infections from hypoxia, and due to mechanical obstruction of the air passages by pus arising from lung infections caused by the smog. The lung infections were mainly bronchopneumonia or acute purulent bronchitis superimposed upon chronic bronchitis. A total of 12,000 people are believed to have died in the weeks and months that followed. The death toll formed an important impetus to the modern environmental movement, and led to a rethinking of air pollution, as the smog had demonstrated its lethal potential. New regulations were put in place restricting the use of dirty fuels in industry and banning black smoke. In the years that followed, various legislation such as the Clean Air Acts of 1956 and 1968, and the City of London (Various Powers) Act 1954, greatly restricted air pollution.